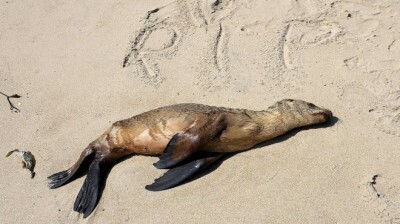 Ten Thousand Dead Sea Lions Wash Up In California, « This is A Crisis”. What is the Cause? The report below has identified « the crisis ». Time: Experts at NOAA say that the culprit is rising ocean temperatures [note « unseasonably cold » ocean temps were the culprit during the record strandings in 2013]… a NOAA climate expert said that they do not believe the stranding increase is tied to climate change.